Ships today if you order in the next 11 hours 30 minutes. 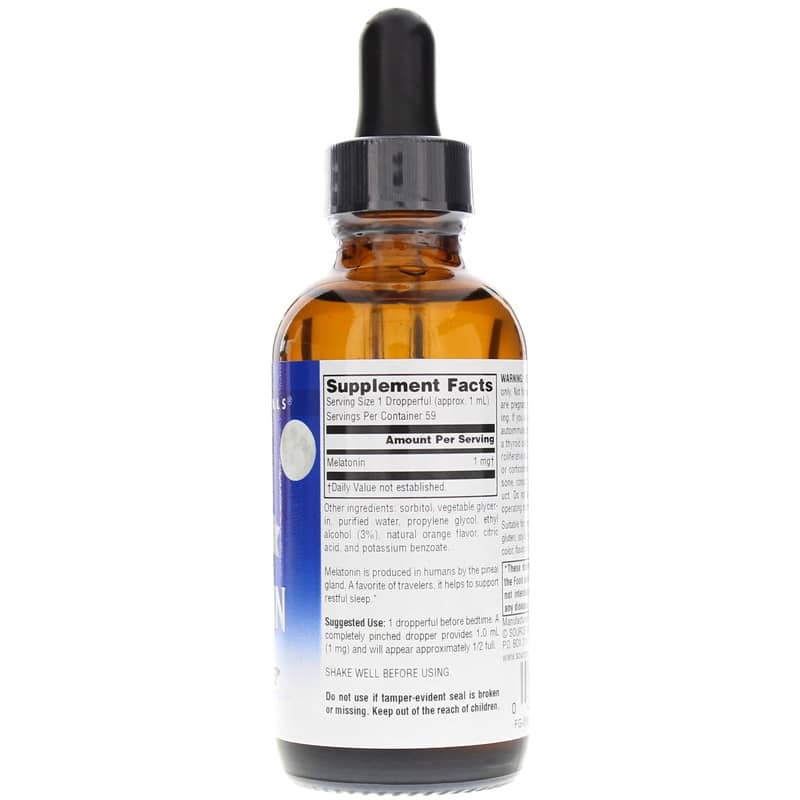 Melatonin supplements are a natural alternative to prescription sleep medications. They are man-made to mimic the neurohormone (by the same name) that is produced by the pineal gland in the brain. Melatonin is naturally released when it gets dark in order to make you sleepy, and production slows as daylight approaches in order to encourage you to awaken. This sleep-wake cycle can be disturbed by issues such as jet lag, age and shift work. Consuming additional amounts of melatonin can help support this process. 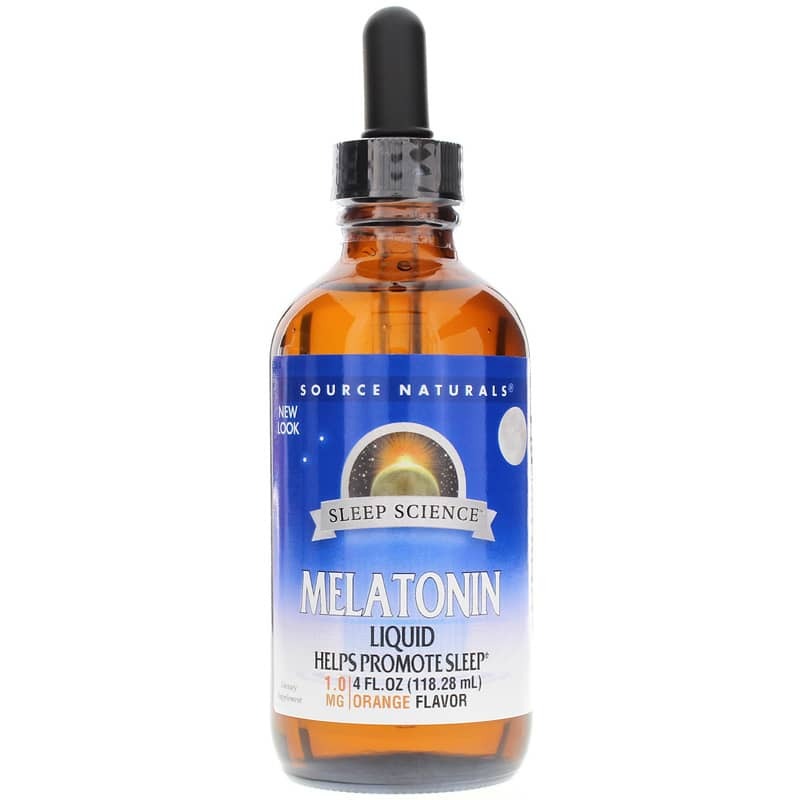 Source Naturals offers a natural supplement called Melatonin Liquid that supports the sleep-wake cycle. 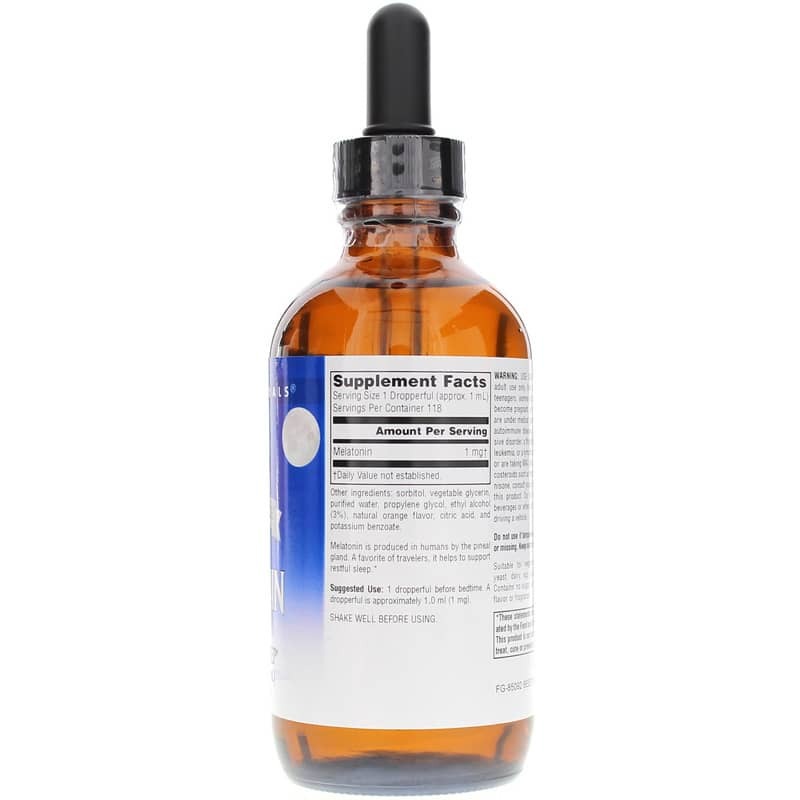 Each dropper contains 1mg of melatonin. The formulation is free of gluten, yeast, dairy, egg, soy and wheat. 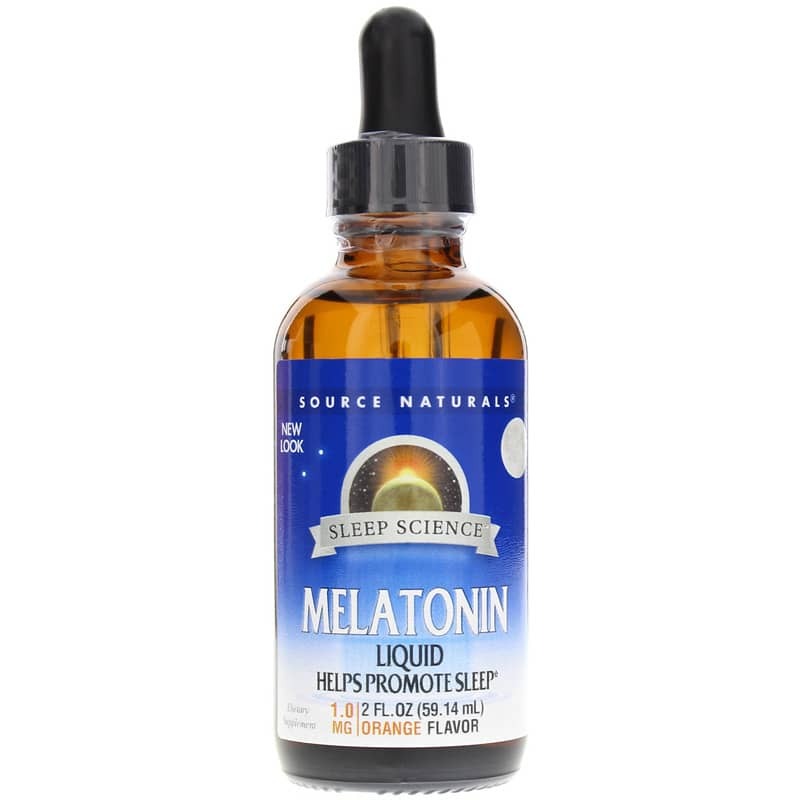 If you're looking for a natural supplement for occasional sleeplessness, check into Source Naturals' Melatonin Liquid . Order online today! 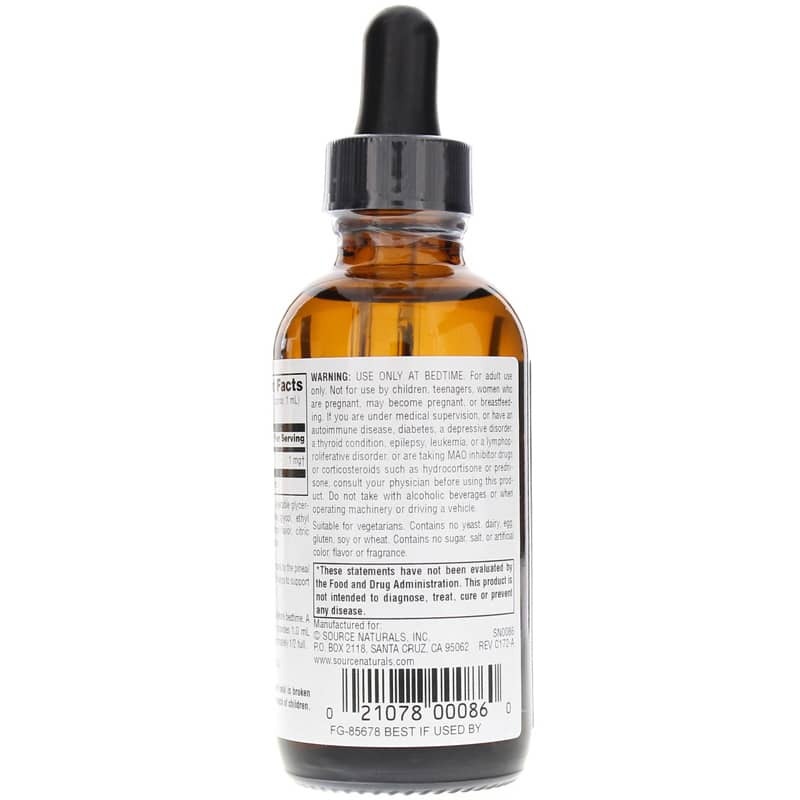 Other Ingredients: sorbitol, vegetable glycerin, purified water, proplyene glycol, ethyl alcohol (3%), natural orange flavor, citric acid, and potassium benzoate. Contains NO: yeast, dairy, egg, gluten, soy, wheat, sugar, salt or artificial color, flavor or fragrance. Adults: Shake well before using. Take 1 dropperful before bedtime. 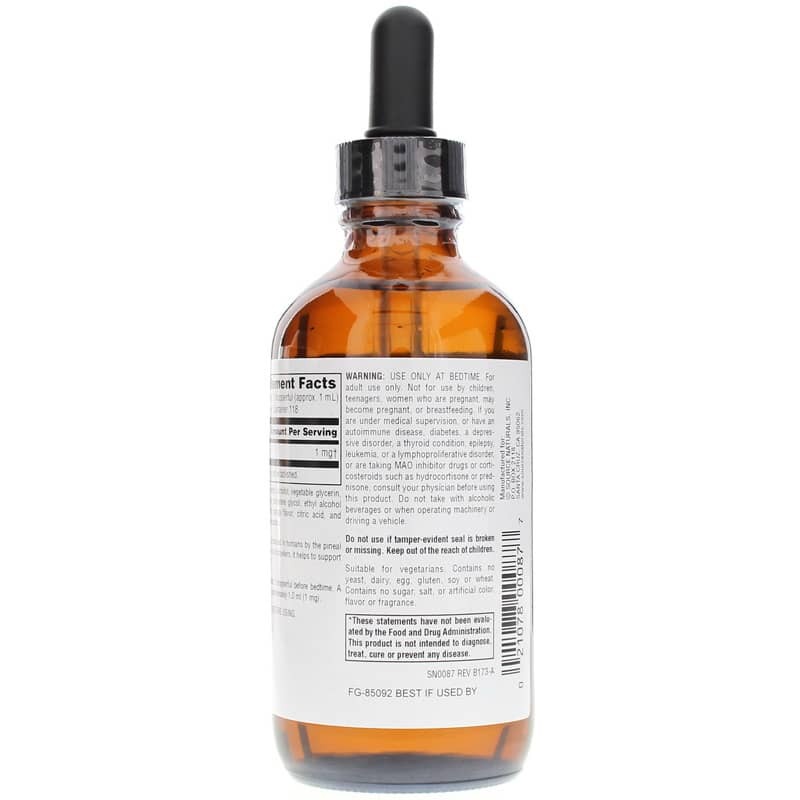 A dropperful is approximately 1.0 ml (1mg). USE ONLY AT BEDTIME. For adult use only. Not for use by children, teenagers, women who are pregnant, may become pregnant, or are breastfeeding. If you are under medical supervision, or have an autoimmune disease, diabetes, a depressive disorder, a thyroid condition, epilepsy, leukemia, or a lymphoproliferative disorder, or are taking MAO inhibitor drugs or corticosteroids such as hydrocortisone or prednisone, consult your physician before taking this product. Do not use if either tamper-evident seal is broken or missing. Keep out of the reach of children. Arrived in good condition. Postal service took about 10 days. Quality Product. this is the best one we've ever used! It works great for my son and has helped him a great deal. Thank you so much!